When you move to California, you will immediately hear people using the word “drought.” What does it mean? 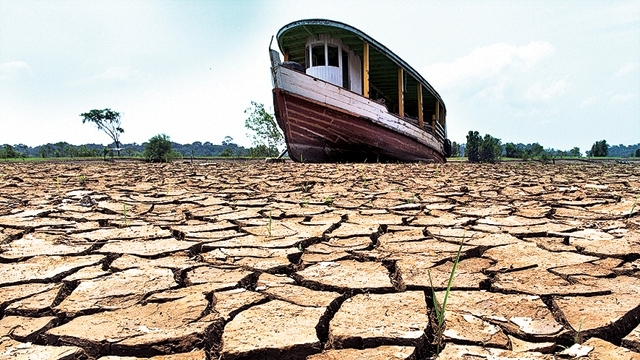 Drought Definition: a prolonged period of abnormally low rainfall; a shortage of water resulting from this. It hasn’t rained in California for so long, the drought is turning the state into a dessert. The drought killed all of our crops! I’m in such a drought right now, no one is giving me any business! My love-life is in a drought, I need a boyfriend to give me life again! At the time of this writing, we are happy to say that all the recent rain has pulled California out of a drought! Can you make a sentence using the word drought? Give it a try! Are you looking for English Language courses in Los Angeles? Check out ECLA today!